Since way back a tattoo has been an important means of ventilating feelings in a seemingly indelible manner. Yet still a taboo dominates this practice in the penitentiary context. Among other difficulties the rise in clandestine use of self-manufactured equipment for producing tattoos has contributed to the spread of HIV and hepatitis. 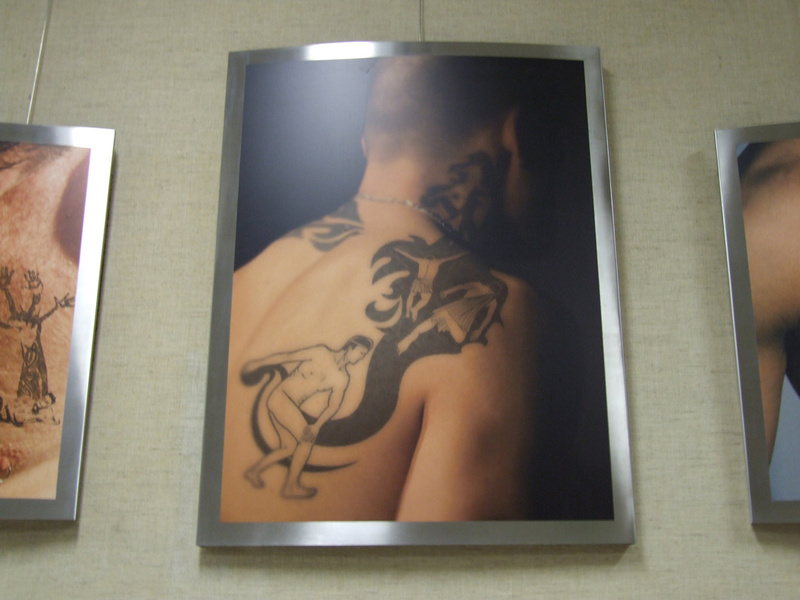 In 2007, an agreement arose with the penitentiary government concerning a cooperation conducted over a full year between the organization and inmates of Oudenaarde with as a result an exhibition which would create an open discussion concerning tattoo practices and body painting. The exhibition The ornamental body is spread out over three shutters. An interactive part consisting of five groups of lightboxes. Pictures of the making-off are accompanied by music, interviews and testimonies. 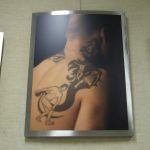 A second part exists out of steel plates with close ups of tattoos and painted bodies of inhabitants. Tribals and intimate images reveal details of the life of the tattooed. Finally, a triptych which outsiders may see in the visitors room. This shutter argues for the upgrading of body art on the penitentiary scene and stops the frequent phenomenon of tattooing by inmates being a taboo. Start in Oudenaarde prison followed by venues in other prisons and cultural centers. For loan to other penitentiary institutions and other spaces contact us. Costs of insurance are NOT on behalf of Art Without Bars. It is possible to loan each part of the exhibition separately. The ornamental body. Mariette Michaud + five artists. 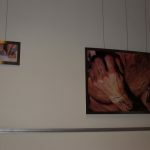 Inmate tattoo with the photograph of M. Michaud was the departure point for the Witte Zaal Ghent to invite five other artist to reflect concerning…. A video portrait of a detained tattoo artist and a slide assembly of the making-off of Inmate tattoo, break a lance for study into new recent developments of body decoration which thrive in detention.